Schools of Public Health have a commitment to engage in practice-based research and be involved in collaborative partnerships. In 2016 the faculty, staff, and students from the University of Nebraska Medical Center College of Public Health and the Nebraska Department of Health and Human Services, Division of Behavioral Health collaborated to develop and administer a comprehensive assessment of the mental health and substance use disorder services provided by the Division of Behavioral Health. 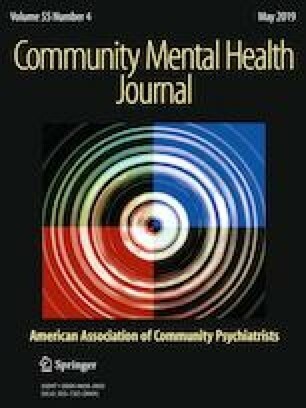 The purpose of this paper is to describe the process used to develop the trusting and mutually beneficial partnership and the data tools that were created and used to assess and determine the behavioral health needs. It is unrealistic to think that practitioners could undertake a project of this magnitude on their own. It is essential to have identified processes and systems in place for others to follow. The needs assessment was funded through a subcontract with the Nebraska Department of Health and Human Services, Division of Behavioral Health. The authors have no potential conflict of interest to disclose. Informed consent was waived by the University of Nebraska Medical Center Institutional Review Board because this study qualified as a quality improvement initiative. this study was approved by the University of Nebraska Medical Center Institutional Review Board. All procedures performed in studies involving human participants were in accordance with the ethical standards of the institutional and/or national research committee and with the 1964 Helsinki declaration and its later amendments or comparable ethical standards. Agency for Healthcare Research and Quality. (2016). CAHPS® experience of care and health outcomes (ECHO®) survey. Retreived September 23, 2016, from http://www.ahrq.gov/cahps/surveys-guidance/echo/instructions/index.html. Association of Schools of Public Health, Council of Public Health Practice Coordinators. (2006). Demonstrating excellence in practice-based research for public health. Retreived from http://www.aspph.org/educate/models/demonstrating-excellence-in-practice-based-research-for-public-health/. Centers for Disease Control & Prevention. (2014). About BRFSS. Retreived from http://www.cdc.gov/brfss/about/index.htm. Centers for Disease Control & Prevention. (2017). Youth risk behavior surveillance system (YRBSS) overview. Retreived from http://www.cdc.gov/healthyyouth/data/yrbs/overview.htm. National Institute of Mental Health. (2017). Any mental illness (AMI) among U.S. adults. Retreived from http://www.nimh.nih.gov/health/statistics/prevalence/any-mental-illness-ami-among-us-adults.shtml. Nebraska Department of Health and Human Services, Division of Behavioral Health. (2017). One Nebraska! One Plan! Strategic Plan, 2017–2020. Retreived from http://dhhs.ne.gov/Reports/Behavioral%20Health%20Strategic%20Plan%202017-2020.pdf. Nebraska Department of Health and Human Services, Division of Public Health. (2017). Nebraska behavioral risk factor surveillance system (BRFSS): reports. Retreived from http://dhhs.ne.gov/publichealth/Pages/brfss_reports.aspx. Office of the Assistant Secretary for Health U.S. Department of Health and Human Services. (2017). Public health 3.0: A call to action to create a 21st century public health infrastructure. Retreived from https://www.healthypeople.gov/sites/default/files/Public-Health-3.0-White-Paper.pdf. Substance Abuse and Mental Health Services Administration. National survey on drug use and health. Retreived from https://nsduhweb.rti.org/respweb/homepage.cfm. Substance Abuse and Mental Health Services Administration. (2014). 2010–2012 National survey on drug use and health substate age group tables. Retreived from https://www.samhsa.gov/data/sites/default/files/substate2k12-AgeGroupTabs/NSDUHsubstateAgeGroupTabs2012.htm. Substance Abuse and Mental Health Services Administration. (2018). Mental health statistics improvement program (MHSIP) consumer survey (draft version 1.2). Retreieved from http://www.samhsa.gov/data/. United Health Foundation, America’s Health Rankings. (2018). Binge drinking: United States. Retreived from http://www.americashealthrankings.org/ALL/Binge.